Until the 1970s some one hindered and sixty species of birds were listed in Lahore. While the city had such green spaces as Lawrence Gardens, Aitchison College, the cantonment and Model Town, farm and forest on the outskirts began where Defence Society or Allama Iqbal Town and the innumerable societies now sprawl in south and east Lahore. Also, houses along main thoroughfares were constructed on plots of four or five thousand square yards or more, giving every residence a large garden with trees, shrubbery and flowers. The conversion of suburban farm, forest and scrub land to housing estates led to large scale deforestation. Over the years it was observed that not just government agencies, but private developers as well as individual home owners are clearly repulsed by trees. The first thing anyone does is remove the forest cover, even when the trees do not get in the way of construction. Wherever indigenous forest was destroyed, the grid of new roads was bordered with eucalyptus. The opening ceremony of Institute for Experimental Construction (IEC) was held in the Beaconhouse National University, Raiwind Road, Lahore on April 29, 2011. The theme of the event was Mud Housing and Appropriate Technology. Other related topics like Natural Disasters and Slums and Upgrading of Housing Experiments also came under lime light. The demonstration and discussion also included not only the construction but also the technical infra-structure (electricity supply, toilets, water filtration) and more. “Not a very long time ago, the city of Lahore woke up to birdsong and chirping. These sounds, however, are being silenced by unchecked and unsustainable development and human settlement. So much so that now, as compared to the 240 bird species that were recorded in Lahore in a study conducted in 1965, only 101 bird species were recorded during a study conducted in 1992. 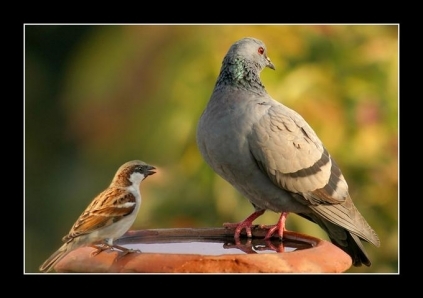 Ornithologists estimate there are currently only 85 bird species left in Lahore, including resident and migrant species.” Read full article here. Sadly, she is right as there were many species of colorful birds and migrant creatures from Siberia that used to enrich bird watching in and around Lahore. All of these are becoming a rare sight due to unrestricted human development and unplanned urban expansion of the city’s boundaries. As for every other aspect, environment is going through extensive degradation in Pakistan and urban built ups like Lahore and Karachi are the most affected areas. I hope someone in the right state of mind notices and guides the urban planners as well as officials that run this city in order to prevent further loss of nature around us. There’s a very comprehensive article on the Birds of Lahore by The Birdwatchers Club of Pakistan. You can learn more about the Birds of Lahore here. It’s easy to love a place where residents make efforts to feed the squirrels. In the Shalimar Garden, a few senior citizens party with the squirrels every morning. When my friend Hussain Qazi who is naturalist and a photographer told me about people feeding birds and squirrels, I planned to skip my ‘ritual morning walks’ and decided to visit Shalimar Garden instead; hopping to find more about the party with the squirrels. The care and feeding of squirrels in Shalimar Garden is a recent phenomenon. Long overshadowed by heritage talk (it is on UNESO’s world heritage list), Shalimar Garden is overcrowded during day. Whether or not Shalimar Garden ultimately can maintain its past glory – and with it, an influx of foreign and local tourists – it’s a surprisingly satisfying open space during early hour of the day. Every morning, two charismatic old men, loaded with biscuits, rice and pluses came to the waiting population of birds and squirrels in the Shalimar Garden. They sit on the same benches and start throwing grins to the birds. When this is happening, one can see squirrels coming down from nearby trees for their breakfast and then those gentlemen dig deep down their satchels and take out biscuits and start feeding the squirrels. The tiny winy animals are so use to those caring hands that they jump to take the first bite. As a usual January every year, Lahore is currently under heavy foggy conditions; commuters & daily life is suffering quite badly with lots of flight canceled and motorway M2, M3 closed down every now and then – So there I was and an idea just kicked into my mind that there should be real time temperature updates for Lahoris from the city – so I managed to build this thing out today and we have live temperature updates going out to Twitter after every 30 minutes :) So if you are into twitter, please follow the tag #Lahore or Follow LahoreTemp to get updates after every 30 minutes. Even if you don’t use twitter, you can still logon to http://twitter.com/LahoreTemp and read the latest temperature from the beacon. LAHORE, Nov 27: Chief Justice of Pakistan (CJP) Iftikhar Mohammad Chaudhry on Friday took suo motu notice against proposed chopping of trees in the provincial metropolis to widen Canal Road. Chief Justice Chaudhry directed the authorities concerned to put their plans of cutting the trees on hold and summoned the chief secretary and the environment secretary on Dec 1 at Court House in Islamabad. The chief justice took notice on applications moved by two NGOs namely the Concerned Citizens of Pakistan (CCP) and the Lahore Bachao Tehreek (LBT), seeking a restraining order against proposed cutting of trees to widen Canal Road. 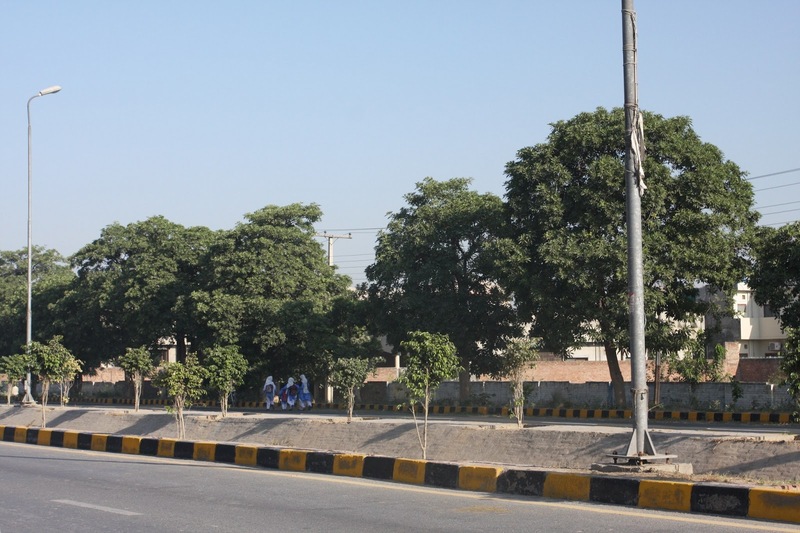 Earlier, Dawn reported in its Nov 26 edition that environmentalists, conservationists and civil society activists had sought help of the CJP to save hundreds of trees likely to be felled during Eid holidays to pave the way for widening of Canal Road. Through an application to the CJP, they had said the Punjab government was planning to widen Canal Road from Thokar Niaz Beg to Dharampura underpass at a hefty cost of Rs3.15 billion, without fulfilling its obligations under the Pakistan Environmental Protection Act, 1997, and the chief minister had announced that work on the project should be started. “The project envisages felling of over 5,000 mature trees and taking away 51 acres of green land from the general public. Road widening is also against the master plan of the city and suffers from major defects in terms of urban planning and transparency. Previously, an EIA was conducted for the Rs700 million project, but citizens overwhelmingly rejected it at the public hearing. A case is pending with the Lahore High Court against the EIA for the previous project,” said the application moved by the concerned citizens gathered under the banner of Shajar Dost. They had feared that during the Eid holidays, the priceless, speechless trees would be the first casualty of this development project. Conservationist Dr Ajaz Anwar had told Dawn that some three years ago, Lahore was deprived of a historical asset during Eidul Azha holidays. “Haveli Mian Khan was built during the regime of Emperor Shah Jehan. It was spreading over acres — from Rang Mahal to Mochi Gate. Gradually it fell victim to commercial vandalism – the beautiful and priceless structures were replaced with ugly plazas and shops. Only a wall and its main entrance near Rang Mahal had survived but it was also demolished during Eidul Azha holidays three years ago by the men of one Raju Pehalwan with the patronage and connivance of some government officials,” recalled Dr Anwar who had been the founding secretary of Lahore Conservation Society and a senior faculty member of the National College of Arts. Over the weekend, the Chief Minister of Punjab announced that he was allocating Rs3.15 billion for a project to widen Lahore’s Canal Road. The decision can only be described, at best, as a reckless adventure and, at worst, a catastrophe waiting to happen. 1997 kicked in and TEPA was constrained to engage the National Engineering Services Pakistan (NESPAK) to carry out an environmental impact assessment (EIA) of the project. This was done and the EIA was presented to the Environment Protection Agency (EPA), Punjab, in a public hearing where hundreds of Lahoris gathered to protest against the decision to deprive the city of one of its last surviving environmental heritages: the 14 kilometres of green belt that line the canal and make the street one of the most unique avenues in the world. The EPA, Punjab approved the EIA but before the project could go any further, the Lahore Bachao Tehreek (an umbrella organisation of dozens of grass-root NGOs as well as WWF-Pakistan) challenged the veracity of the EIA as well as the approval granted to it by the EPA, Punjab. The case remains pending before the Lahore High Court. The announcement by the mhief minister, giving the go-ahead for the project “after completion of design”, raises some important points. First, it is clear that the project approved by the CM is not the project that the TEPA had originally proposed in 2006. For one thing, the cost of this new project is nearly five times the cost of the original design. Also, according to news reports, the new project is set to incorporate new features along the Canal Road (like “beautifications” which, I must hastily point out, in the context of roads means nothing). What this means is that the Government of Punjab cannot use the EIA approval granted to the original TEPA project. According to our laws which, the last time I checked still apply to everyone including the government, road projects in excess of Rs50 million must have an EIA carried out and should be approved by the EPA. But the observance of legal and procedural formalities is not the primary concern that most Lahoris have about the road widening project. It’s an open secret that the Government of Punjab is operating on overdraft. In such a situation, it would seem bizarre that the provincial government would choose to spend Rs3.15 billion — nearly 10 per cent of the allocations it made last year to the three heads of health, public health and education — on one road in one city of the province. Less than 20 per cent of Lahoris have access to cars. For the vast majority of the over eight million people who try and live and work in this city, transport and mobility are dependent on motorcycles, cycles and what is euphemistically referred to as “public transport” (there are less than 1,000 buses that ply the city’s streets). Ever since the previous tenure of Chief Minister Shahbaz Sharif, when the Punjab Road Transport Corporation was shut down, neither this nor the PML-Q government of Chaudhary Pervaiz Elahi have spent a rupee on public transport, which, by the way, is the only way to reduce traffic congestion in a city. Now we are told that a seriously broke government is about to spend billions of rupees it doesn’t have on a road it doesn’t need for people who don’t want or use it. Remarkable indeed. In a presentation made by NESPAK on August 31 this year, the various options of widening the Canal Road were presented to the CM. According to NESPAK, all the road widening projects would “fail” by 2020 — meaning thereby that if the government didn’t do something to invest in public transport, and soon, the billion-rupee road widening adventure is, at best, a 10-year frolic. Is the Government of Punjab serious? Does the chief minister not know that, according to the Punjab Economic Survey of 2005 carried out by the Planning and Development Department (P&D), over 50 per cent of Punjabis live in slums? Who is this road being widened for? All too often our politicians harbor the mistaken belief that infrastructure development is the only thing that will make our cities “modern”; that infrastructure is the only thing that will attract the foreign investment necessary to bring economic prosperity to a developing nation. But where are the examples of the success of this model? Our own urban Guru, Arif Hasan, in his brilliant essay “The world class city concept and its repercussion on urban planning in the Asia-Pacific region” demonstrates that our preoccupation with a modern city is also the root of our urban decay. But who in the government reads? Oh, save a little prayer for Lahore. It’s time for October’s Critical Mass Lahore!!! Join Lahore’s 11th Critical Mass Event at 10:15am this Sunday 25 October 2009 from the Fountain Square, Neela Gumbat, behind Bank Square on Mall Road, Lahore. This Critical Mass cycling event will see us prowling the innards of Lahore where riding a bike offers the chance to sample more of Walled City life without picking a tab. The thrum of the historic Walled City will lift your spirits as we catch the city-folks going about their morning ritual of Nashta. If you’re worried about the security situation, you can stay at home at let the terrorists win. Spinning via Anarkali Bazar we will enter the walled city from Lohari Gate and zigzag our way through the maze of Said Mitha, Paniwala Talab, Rang Mahal, Kashmiri Bazar, Chuna Mandi, Sheranwala Gate, and weave our way back from Fort Road, Red Light District, and Bhati Gate returning to Nila Gumbad via Lower Mall. Critical Mass is about having clean cities that provide mobility and accessibility. Critical Mass is about clean transport. Critical Mass is about putting public good over private interest. Critical Mass is about making friends. Critical Mass is about reclaiming public space. Critical Mass is about showing a man or a woman on a cycle is the same as one in a ten lac car. Critical Mass is about democracy. It’s time for September’s Critical Mass Lahore!!! Fellow Lahoris, Critical Mass Lahore has survived the summer and has been enjoyed through Ramzan. Now, it’s time to rally once more for the cause of public transport, sustainable development, democratic public spaces and, of course, the right to have fun on our own streets!!! Join Lahore’s 10th Critical Mass Event at 5:00pm this Sunday 27 September 2009 from the Zakir Tikka intersection, Sarwar Road, Lahore Cantonment. What do I need to participate in a Critical Mass Event? All you need is a road-worthy cycle and an sense of fun. Buy, beg, borrow or steal a cycle if you have to, but join the Mass. Come, cycle around Lahore. Reclaim your city, and have more fun than you can imagine! Where and how else do Critical Mass Events take place? Critical Mass events are typically held on the last Friday of each month in over 250 cities all over the world. In Lahore, it is held on the last Sunday of every month. For information about Critical Mass Lahore, be at Zakir Tikka at 5:00pm this Sunday 27 September 2009 or visit the Critical Mass Lahore Facebook page (http://www.facebook.com/group.php?gid=38992998526) or the Critical Mass Lahore blog.